Australian companies are among the thousands of exhibitors that have chosen the global food innovation show SIAL Paris as the launchpad to introduce innovative new product lines to the world. Food & Drink Business is there. The SIAL Paris show, which kicked off on Sunday, is hosting more than 7000 companies from more than 100 countries, many of which are launching innovative food products. This year the SIAL Innovation competition has attracted 2355 entries, a rise of ten per cent, with winners to be announced on Monday. Melbourne ingredients and clean label food products manufacturer Flavour Makers (stand pictured above) was among them, with its brand new line of organic soups that are 100 per cent sourced from Australian ingredients. The company’s founder and chief Adrian Cester described the launch as a world first, and said the new product line was developed after he discovered a few years ago how few locally manufactured organic products are actually sourced from Australian ingredients. 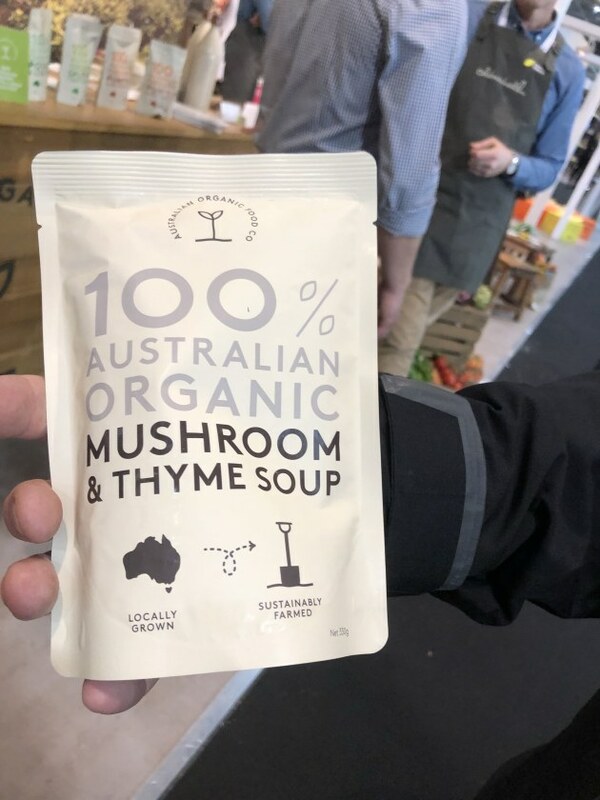 “Australia has the most organic farmland of any country,” Cester told Food & Drink Business this week in Paris, "yet most of our organic products are made from imported ingredients." "I decided that this range had to stand for purity, so the rules are that we must only use 100 per cent Australian organically-grown product. So it is a really unique product offering." The range, as well as all future products, which will include meals and on the go snacking, are made from ingredients sourced entirely from Australian organic farmers, farmed by Australians and processed by Australians using sustainable methods. “With the help of a group of Aussie organic farmers, it's taken three years to make this vision a reality,” Cester says, "and I'm hoping eventually this product will make its way into export markets." Another Victorian manufacturer announcing an exciting product launch is allergen-free food specialist Orgran Health & Nutrition, which has also created a product world-first - a new sugar-free and allergen-free cereal and cookie range. The company's general manager Antoine Huon told Food & Drink Business that Orgran products have a strong worldwide following due to their specialty niche, which is free of gluten and dairy and other potential allergens. The Sugar Free range, which only rolled off the production line two weeks ago, also uses trending ingredients such as chia, matcha, and cacao nibs to further increase its nutritional value. 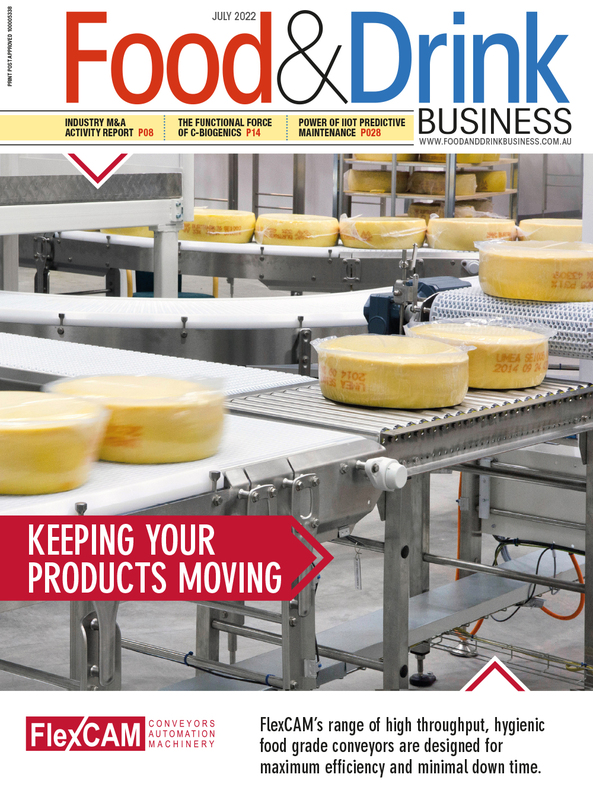 "It's been tough to meet all the allergy requirements and to also be spot on in taste and texture,” Huon said. "This product has been in the works for two years." Slendier, the maker of very low calorie and cabohydrate products, such as pasta, rice, and noodles, was also in Paris showing its expanding range of products. Its maker, D'Lite Foods, uses ancient, organic and gluten-free ingredients and no artificial colours or flavours, and are free of animal products. Slendier's key ingredient is the konjac root, an ancient food from Asia which is also low in fat and a good source of fibre. Slendier, founded by Erica Hughes, was also showcasing its new products, such as pasta sauces, its Super Smoothie range, and its ready meals, which come in three flavours, and were inspired by Italian cuisine. A new range of organic bean pastas which come in three variants, soy bean, black bean, and edamame bean, were also on show. These are high in fibre and protein and contain a quarter of the carbohydrates and a third of the calories of traditional pasta. SIAL Paris runs for five days from Sunday through until Thursday, 21-25 October at Paris Nord Villepinte.